A self stirring pan called the Kuru-Kuru Nabe or “Pot Round and Round”, which has no mechanical or moving parts has been invented by a Japanese dentist Hideki Watanabe, and been revealed this week. The Kuru-Kuru Nabe pan has been designed with a special sculptured base and sides, which then use the properties of thermodynamics to automatically stir the pans contents when liquids within are heated. The design of the Kuru-Kuru Nabe pan not only allows users to take a break from stirring but also, provides improved heating and cooking efficiency. 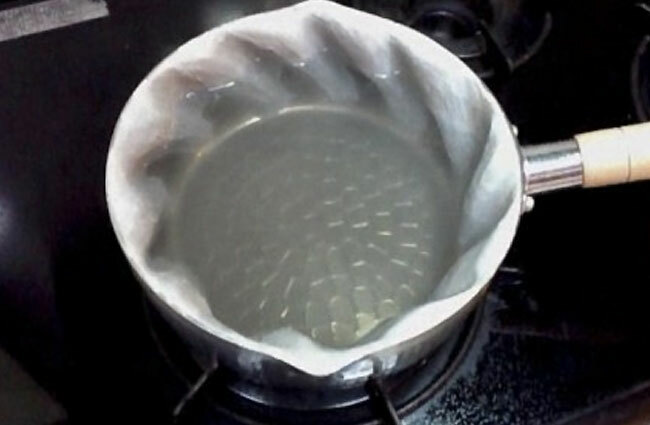 The design creates a whirlpool effect which causes the stirring action and also makes the pan less likely to boil over by compacting the foam created during the cooking process. Watch the video below to see the unique design in action.